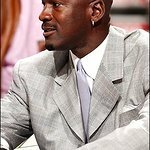 Novant Health and Michael Jordan have announced a $7 million gift to open two Novant Health Michael Jordan Family Clinics in Charlotte. These comprehensive medical clinics will serve some of the most at-risk and underserved communities in Charlotte and are expected to open in late 2020. The Novant Health Michael Jordan Family Clinics will provide vital access to primary and preventive care to individuals in the community who have little or no health care. By providing an avenue to affordable, high-quality care – including behavioral health, physical therapy, social work, oral health and family planning – children and families will have a stable, integrative medical home to address their health care needs right in their neighborhoods. Community wellness and access to affordable and quality health care are some of the biggest challenges facing our nation. According to census bureau data, more than 100,000 Charlotteans do not have health insurance1. Families living in underserved communities face barriers including difficulty accessing preventive and primary and mental health services, as well as a lack of an integrative and comprehensive approach to health care. With the opening of two clinics, Novant Health and Michael Jordan will create access to high-quality health care in areas identified by the Charlotte-Mecklenburg Opportunity Task Force as the most at-risk for generational poverty. Over five years, the Novant Health Michael Jordan Family Clinics are projected to care for nearly 35,000 children and adults who do not currently have access to primary and preventive care or who use the emergency room for non-urgent medical needs. The clinics have the potential to decrease emergency room utilization by 68 percent and decrease hospitalization by 37 percent for the residents of these neighborhoods. Resulting benefits from these clinics will include improved patient care, better community wellness, as well as a reduction in the total cost of medical care. Through the opening of these two clinics, Novant Health and Jordan are investing in the health of Charlotte and supporting the ongoing efforts of the larger community to provide access to quality, affordable health care to all Charlotteans.